There’s a unique charm to Yoku’s Island Express that is expressed by its premise: You’re a beetle postman delivering letters across vast areas of Mokumana Island by way of a pinball machine control system in order to save the island’s sleeping leader. I’ll let that sink in for a minute. Got it? Good. So how does it work? The ball you have attached to you (which keeps your letters in) is used as a pinball and flippers are placed around the platform-like levels at strategic places. It’s not, of course, the first game to mix pinball and platforming, Sonic Spinball did that many moons ago and did it equally well, but developer Villa Gorilla manage to inject their own gameplay in to a similar idea and make it all their own. Now I’ll hold up my hand and say I’ve never been great at pinball, so I was worried how far I’d actually get here. Thankfully, the gameplay is fairly simple and flippers, tunnels and collectables are all located in a logical way that even younger players (or those of us with less pinball skills) can have fun with. While the story itself feels a little secondary to the game, the characters you meet are charming and always produce a smile. The story does come alive at times and helps move you through the game as well as giving you an end game, so it shouldn’t be dismissed entirely. It’s the game’s artwork which takes centre stage, though, as you traverse through beautiful environments on Mokumana Island, trying to unite the tribes to save it. There are Metroidvania elements of going back over a path to unlock something else but it never feels like the game is wearing out its welcome. If anything, it’s a little too short and could have done with a few more sections. I’m hoping that this will be redeemed in a sequel, something I’d love to see as there are plenty of ideas to still explore with this style of game. 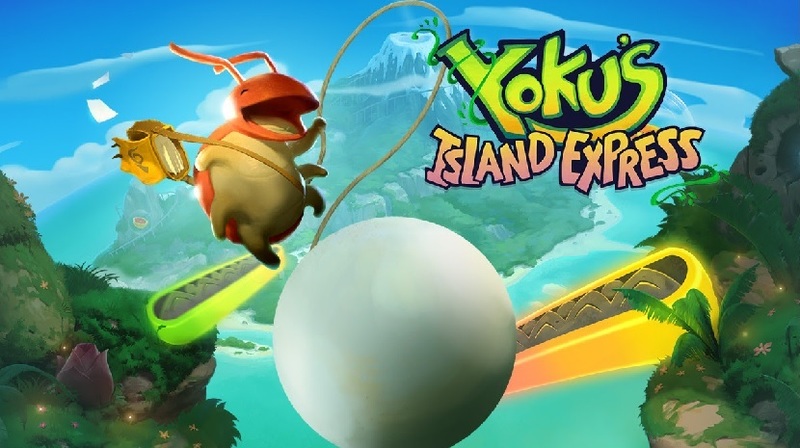 While short, Yoku’s Island Express has a bucketful of charm and some very enjoyable gameplay to make up for it.